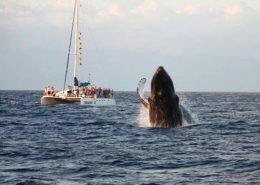 As Maui’s oldest family owned and operated sailing company (est. 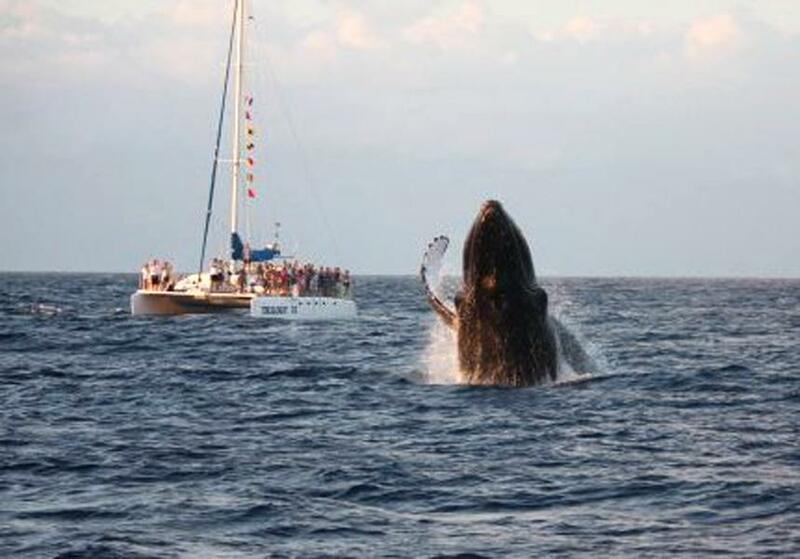 1973) we take seriously our role as a leader in the ocean recreation industry and the environmental community. 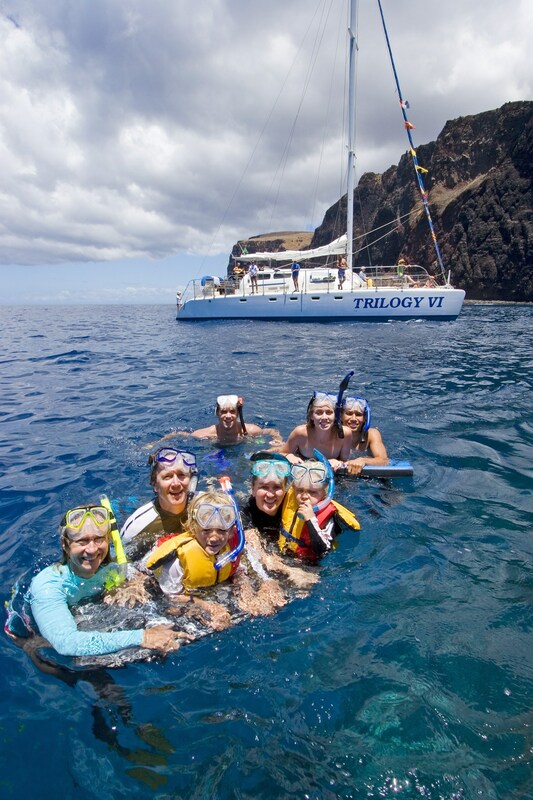 In an independent survey of over 11,000 Maui visitors Trilogy was chosen the #1 Activity on Maui and the 2007, 2008 & 2009 Maui News Readers Poll chose Trilogy as the island’s #1 Maui Sailing Company! We are especially proud to have been given the 2008 Living Reef Award—one of the few activity companies in Hawaii to be so honored. We are one of only three companies to be awarded the “GOLD” certification by the Hawaii Ecotourism Association. And while we appreciate this recognition we still feel it is important to earn our reputation one guest at a time! Our goal is to make you feel like family. Many people notice the way our crew knows each guest by name before breakfast is finished. 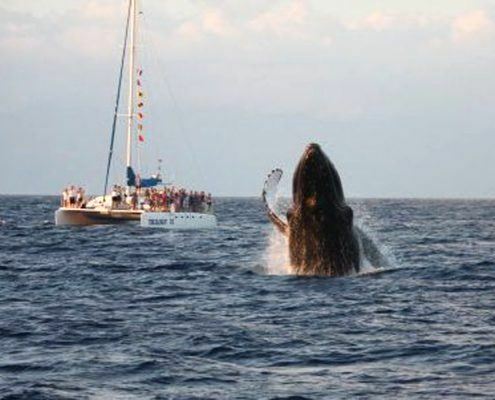 We have one of the safest sailing catamarans in Hawai’i, that is only a small part of the reason folks come back to sail with us year after year. Your environmental and community outreach programs are extensive and show a clear desire to give back. Keep up the good work! Great job choosing a new location which is powered by solar power. The effort you took to evaluate your passenger mile rates was very good. There are programs which you can track fuel consumption over time allowing you to track usage habits and find opportunities for improvement. Very good job using pay incentives tied to training and continuing education. Kudos also for offering opportunities for employees to request funding for educational opportunities. 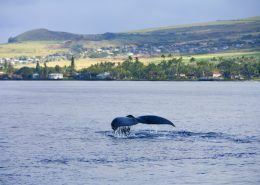 Good job having guests sign environmental pledge before heading to Molokini. Really liked the use of the hydrophone as a supplement to the whale talk given. Good job moving away from disposable cups to reusable acrylic. 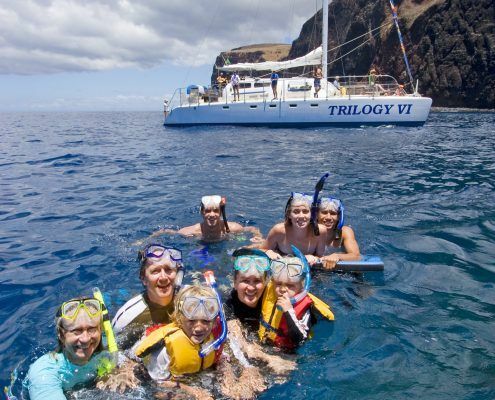 Our family at Trilogy takes seriously the responsibility of supporting our local Maui community and has a strong commitment to preserving our ocean and island environment. 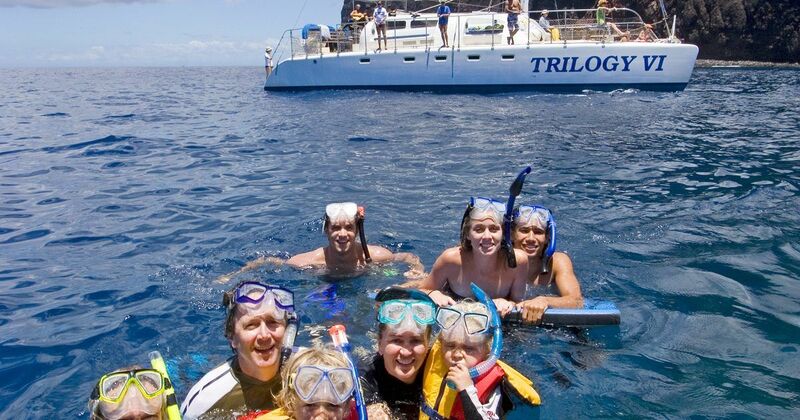 Trilogy adheres to the Dolphin Smart guidelines and does not condone swimming with marine mammals. 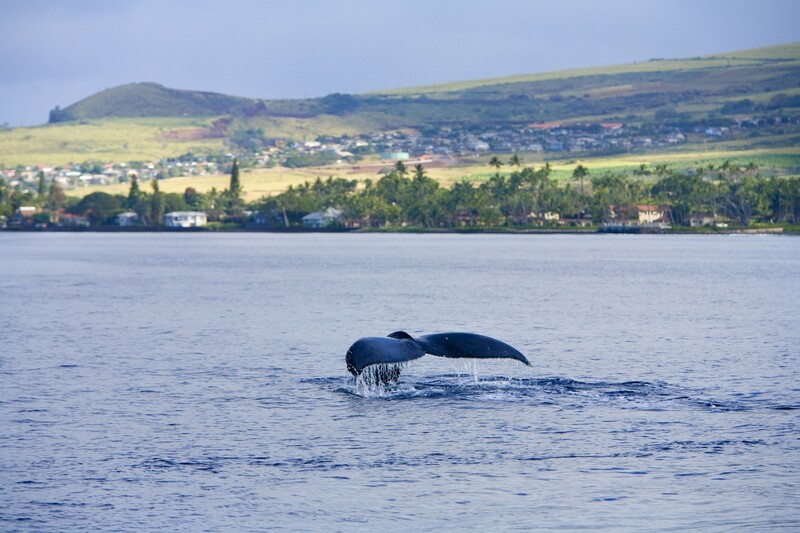 Since 1973, Trilogy has employed business practices with a strong concern for the conservation and improvement of the Maui natural environment. We regularly support many local charitable organizations every year. 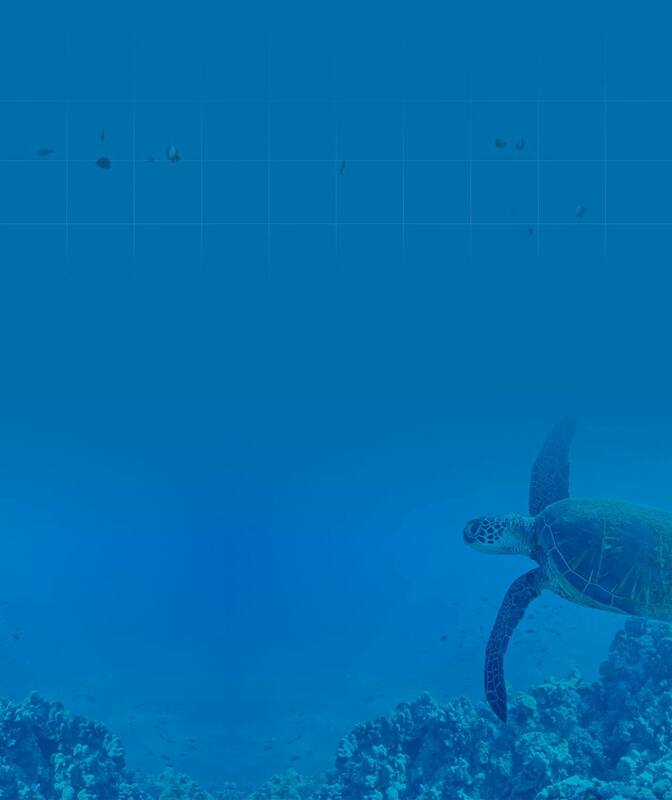 Trilogy also supports their Blue’Aina campaign to clean up and maintain Maui’s coral reefs and lands. Blue Aina Campaign raises approx. 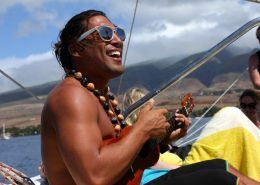 $25,000 in cash annually for a multitude of Maui non-profits (all environmental / conservation non-profits). 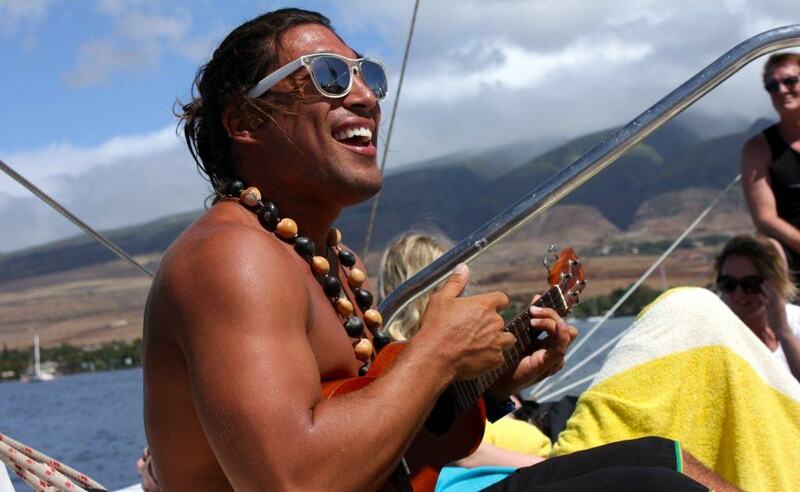 Over $300,000 in-kind donations to reef cleanup. $10,000 annually to Hawaiian Islands Humpback Whale National Marine & The Sanctuary Foundation. 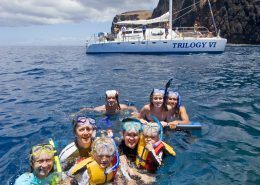 Since 2010 Blue`Aina has been offering monthly underwater reef cleanups targeting reefs in distress on Maui, hosted by Trilogy Excursions. 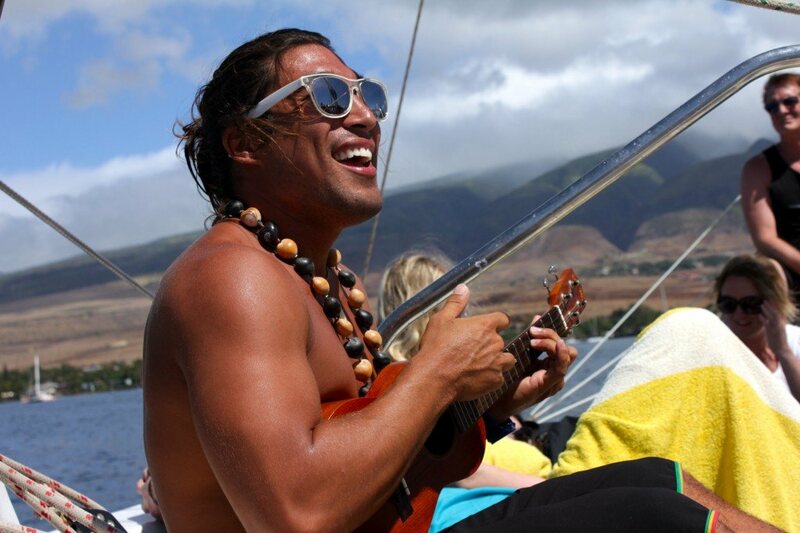 Blue’Aina’s objective is to cleanup and maintain Maui’s reefs and surrounding lands, educate the community, raise money and lend volunteer support to local non-profits. We connect ocean minded local businesses, nonprofits and volunteers to remove marine debris from nearshore reefs. Every cleanup gives our community volunteers a chance to malama our reefs and land and participate in citizen science through the education and outreach the non-profit recipient provides. AV presentation only on our narrated cultural land tour on Lanai. We work with a caterer, not our choice how he sources. All of the new Trilogy staff goes through an extensive Naturalist Training classes. 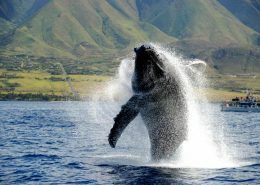 Classes focus on topics such as; Humpback Whale Biology, Coral Reef Ecology, Celestial Navigation, Island Geology, Hawaiian Island Conservation, Invertebrate Biology etc. Refresher courses are also offered throughout the year for senior crew. On board the boat we have interpretation materials for the guests to extend their knowledge. We also give short talks about the most common fish and fun facts about them, island formation, and coral reef conservation to the guests.